12" x 16" image size. Acrylic on Masonite. 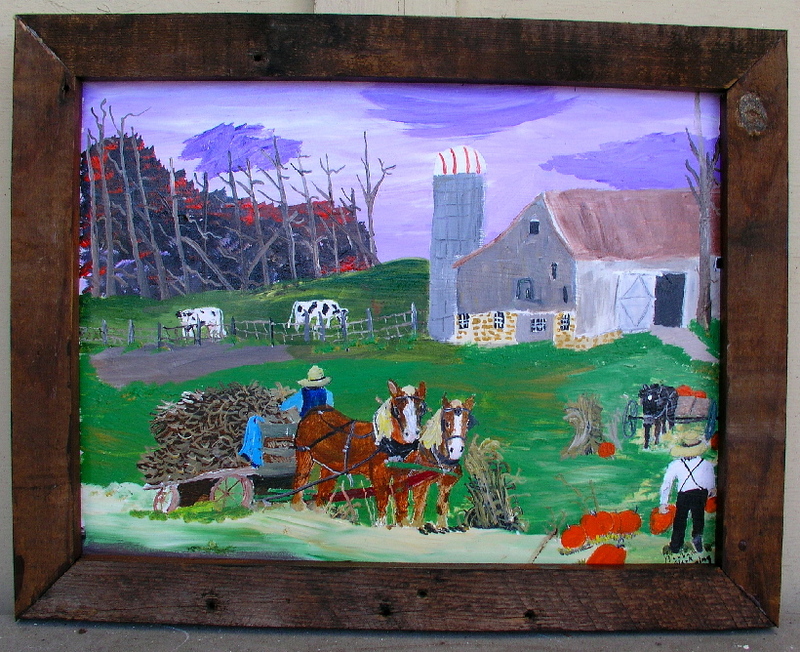 Framed by the artist in a barn board frame. Dated 2008. Fantastic colours and composition makes this one of my personal favourites of this batch.